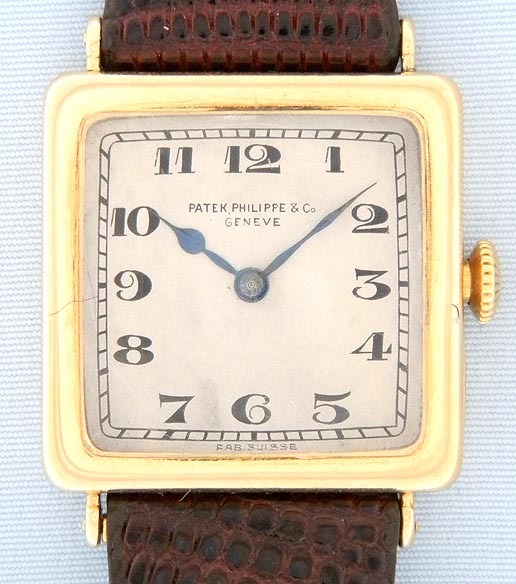 Fine and handsome Patek Philippe Art Deco 18K vintage wrist watch circa 1920. Original silver dial with light signs of age, black markings and blued steel hands. 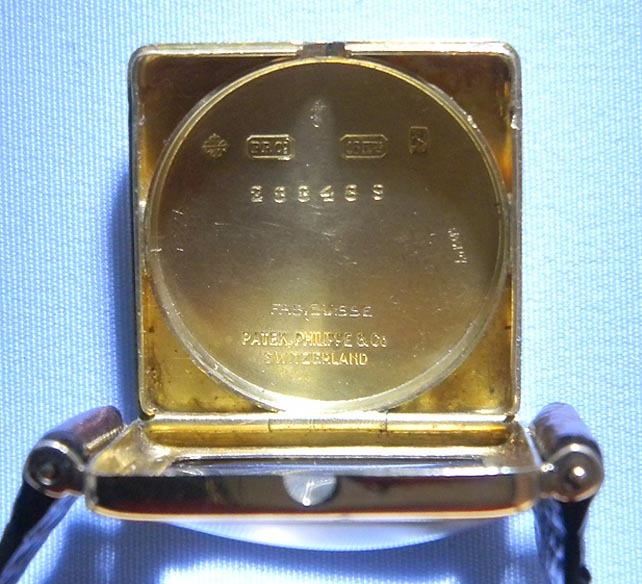 The quare case with hinged back. 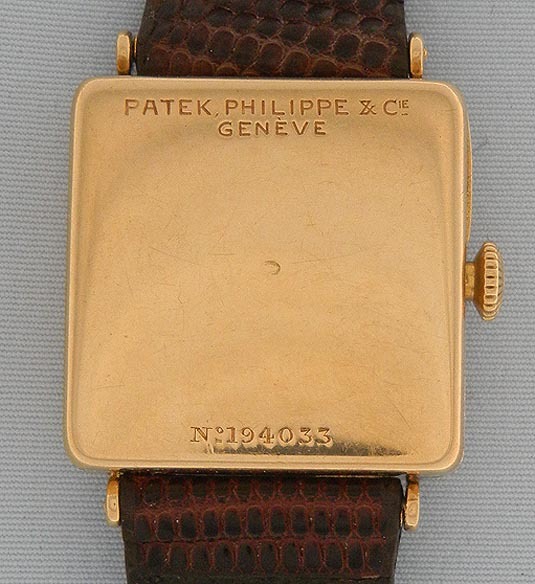 With original Patek Philippe Art Deco buckle. 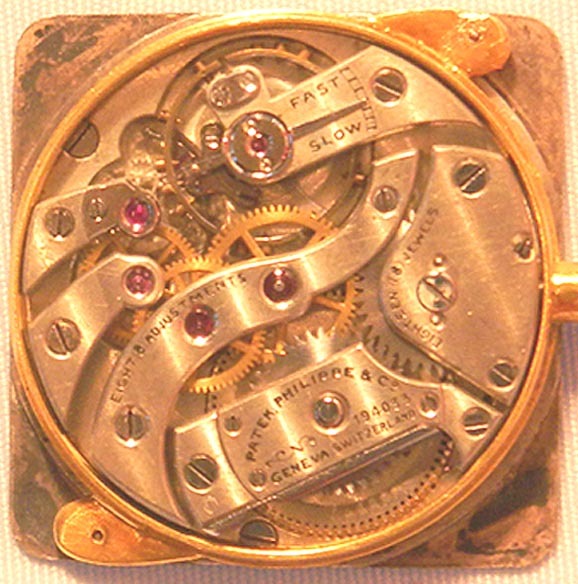 Nickel 18 jewel 8 adjustment movement with wolf's tooth winding and moustache pallet.